Come Fly Away interprets Frank Sinatra’s songs with physical movement. Here are a couple of the moves to look for. 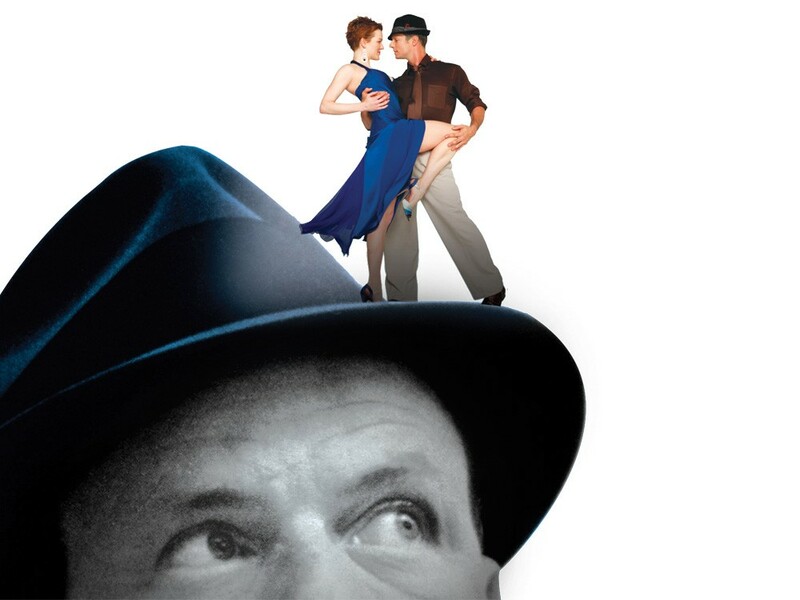 Come Fly Away presents 80 intense minutes of dance — no intermission, no dialogue, an onstage big band, Sinatra’s recorded voice sounding as if it’s in the auditorium right now, more than a dozen dancers cavorting around a nightclub. As their bodies careen across the floor, here are some dance moves to watch for. After Selya, dancing the role of Sid, lures his fictional partner, Babe, with one arm and she straddles him, they almost kiss and thrust their heads away, twice. Matching the lyrics of “That’s Life” — all about being flattened by adversity and picking yourself up to fight on — Babe threatens to slap him, strides off, then suddenly turns and sprints at Sid, leaping feet-first into his surprised arms. He flings her to the floor, nearly stepping on her as he struts away. But soon she’s back on her feet, glaring, and they have to be separated. It’s a duet with mutual resistance. 2. Masthead pose turns into a death-drag: Tharp is famous for spread-eagle lifts, with the woman striking a Titanic pose, followed by sudden, intricate drops that elicit audience gasps. In “My Way,” one woman falls backward into her partner’s arms, drags her feet on the floor and rises into a flowing dance. 3. Pantomimed domestic duties: The man surrenders to her completely in “Body and Soul,” but the woman just turns her back on him. Soon, Tharp’s choreography goes literal for a moment, with the men washing dishes and burping babies. Since it closed on Broadway a year ago, Come Fly Away has lost several songs, an onstage female vocalist and half an hour. “It’s a more streamlined show,” Selya says, “and more dance-driven.” It certainly offers some memorable dancing snapshots.